Nutrition and Body Condition Scoring Find out how to determine if your pet is overweight, and get some nutrition guidelines. This site is sponsored by Hill's Science Diet. Dental Health Care Does your pet need a dental? Infection in the mouth not only causes severe pain and bad breath, but can lead to heart and kidney problems as well! Dog Fancy and Veterinary Practice News Another great site. Have you got questions about the Dog Flu? www.doginfluenza.com has some FAQ's and we have the vaccine....If your dog boards, travels, or goes to a groomer or a dog park, then your dog could be at risk. 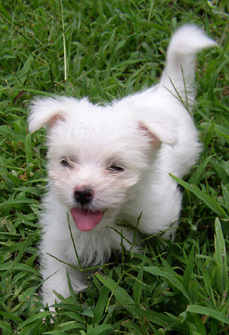 Your dog would need an initial vaccination,and a booster vaccination 3 weeks later. Call today to schedule an appointment.